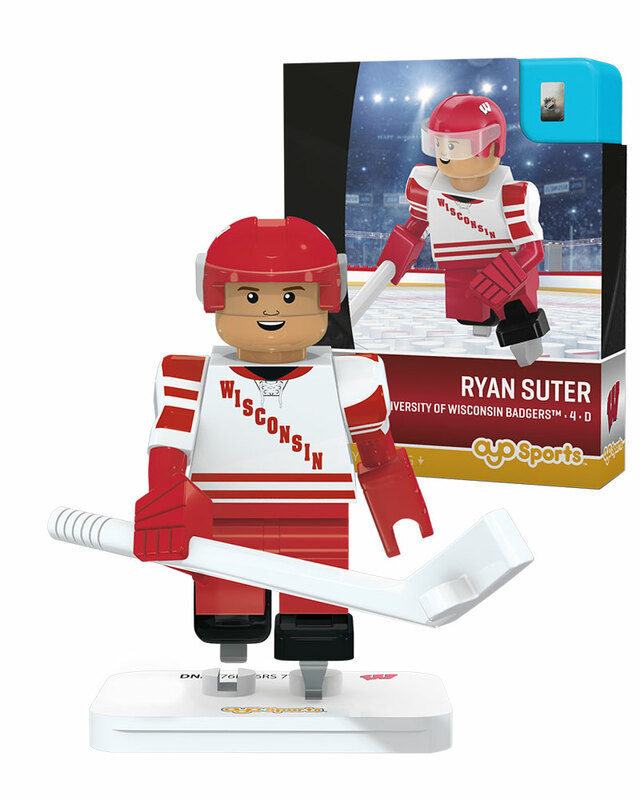 Ryan Suter is an alternate captain for the Minnesota Wild. He was drafted 7th overall in the 2003 draft by the Nashville Predators. 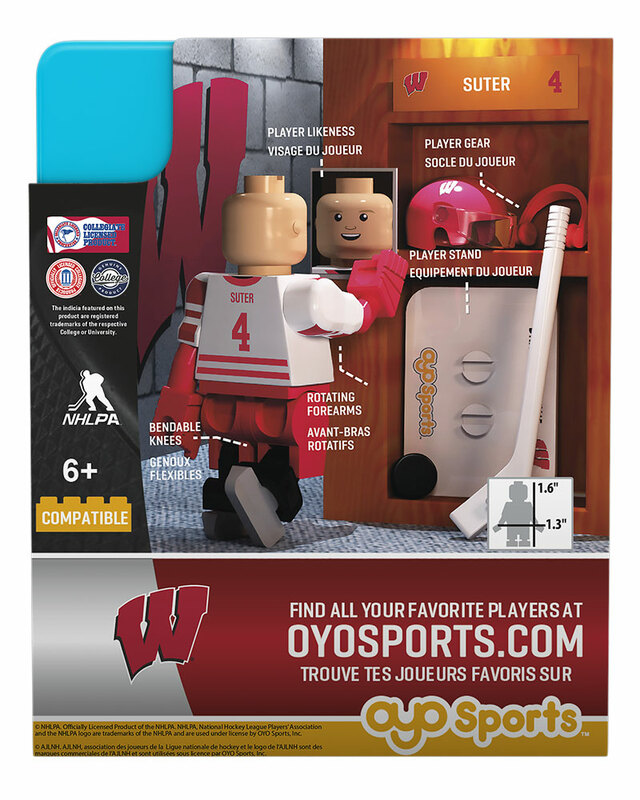 Take the ice with your own OYO Sports College hockey minifigure! Bendable knees and elbows mean that your minifigure is ready to shoot, pass and skate! With details and accessories like an authentic team uniform, helmet with removable visor, skates, stick, gloves, puck and more... get ready to bring hockey action home to you. The perfect gift for the biggest (and littlest!) sports fan in your life. 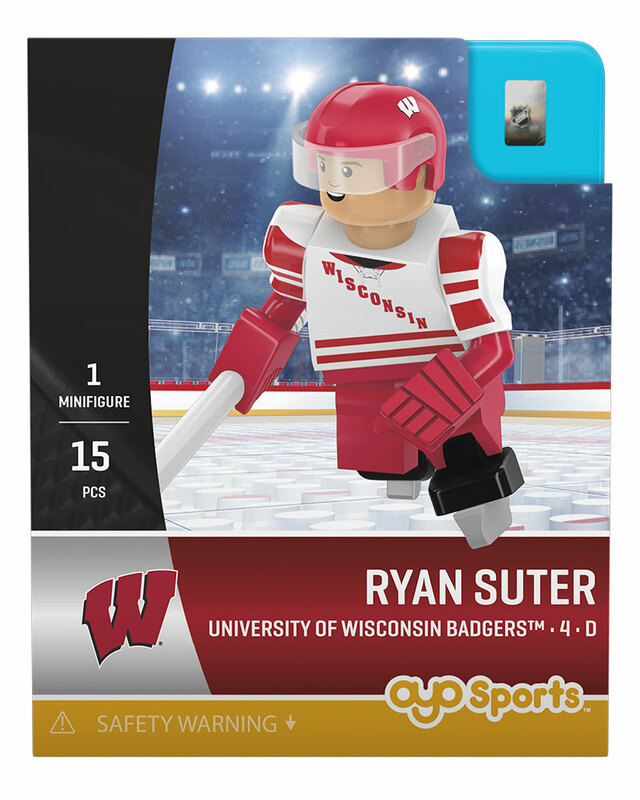 Your minifigure is created to look like your favorite college team player!